Sociology is inherently interpretive and inescapably historical. Cultural and historical approaches are not menu options that can be selected or rejected at will. They are a necessary part of any sociology that can convincingly claim to make sense of social practices and social structures. Historical sociology is the guardian of the historical pole of this formula. Its mission, if it can be said to have one, is to defend sociology from falling prey to the illusion that it could limit its vision to the present and future and still be a social science. The cultural sociology section of the ASA might seem to be the more obvious candidate for defending sociology against the equally powerful illusion of a meaning-free social science. But historical social science is also channeled inexorably toward hermeneutic or semiotic forms of analysis, since past worlds always turn out to be foreign countries. A cautionary tale about the costs of ignoring these definitional features of social science can be gleaned from the history of German sociology. Prior to 1933 German sociology was dominated by broadly “Weberian” forms of historical, interpretive sociology. Far from putting German sociologists at a distance from public life or locking them in an ivory tower, historicist sociologists were able to break down some of the long standing barriers to the history profession and to move closer to the core of political and intellectual life. It was Nazism that turned German sociology into a utilitarian, ahistorical science serving immediate political concerns. 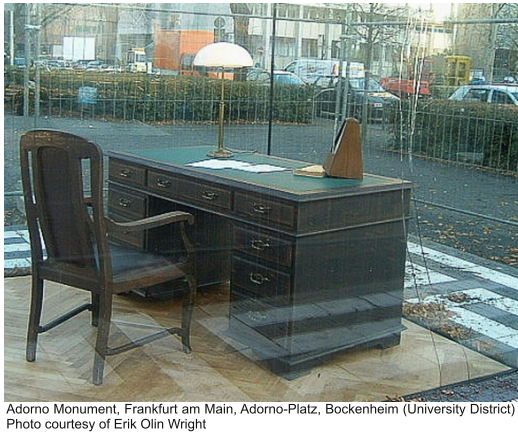 Where did the German historical sociologists go? Many of them travelled to the United States and Great Britain, giving rise to the first formal recognition of historical sociology as something other than the history of sociology in American Sociology. This is part of the legacy that we, as the sociology section most directly engaged with historical sociology, have some obligation to recognize. 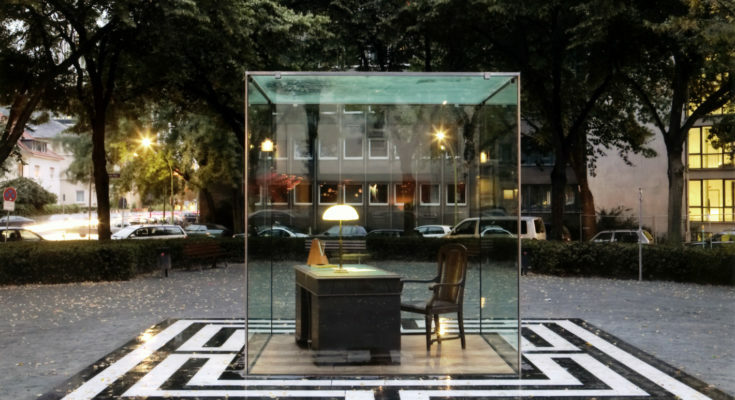 There is no monument to figures like Norbert Elias, Hans Gerth, Paul Honigsheim, and Karl Mannheim in Germany, although they and many other sociologists were forced into exile. Our section can best recognize them by preserving the historicist and interpretive approaches they represented. Still, you may wonder, why I am bringing up these historical events rather than focusing on the terrifying spectacle of the crisis-ridden present? I am not suggesting that we are in a situation identical to that of the 1930s historicist sociologists in Germany. History does not repeat itself. Too strong a parallel between our present and the 1930s blinds us to the specificity of both periods. One the one hand, we also have today a populist movement fired by what one of its leaders calls thymos (rage), led by an American President thrusting toward a generalized state of exception, lawlessness, and chaos. We have rising economic uncertainly combined with a rising drumbeat redirecting our thymos against internal and external enemies. Unlike Weimar Germany, however, we do not have a government saddled by war reparations payments and a population subject to such severe discourses of national humiliation. America today does not have a Treaty of Versailles. We do not have an explicitly anti-Semitic political party vying successfully for government power—not yet, at least. At the same time, the United States differs from Weimar Germany in a number of ways that are highly relevant for the current U.S. crisis, including the transformation of its history of slavery and domestic settler colonialism into a racialized political formation characterized by unequal voting rights, a prison-industrial complex, an archipelago of hyper-pauperized Indian reservations, and militarized domestic police forces. The fact that the U.S. still presides over a declining informal global empire exacerbates our instability in ways that differs radically from Germany’s loss of its colonial empire and continental territories after WWI. Yet while history does not repeat itself, it rhymes. Some of this rhyming sheds light on our own present. Some of this repetition involves the remobilization of causal powers and causal series within entirely new conjunctures. And one intervention that has been repeatedly remobilized in new settings is the repression of historical thinking within the human and social sciences. The destruction of German historical sociology after 1933 can serve here as a cautionary tale in this more limited sense. Historical sociology was virtually destroyed in Germany in 1933, and nowadays, decades after Hitler’s defeat, historical approaches still have not reentered German sociology to a significant degree. Pressures to align social scientific thinking with presentism, empiricism, and naturalism have reappeared in different times and places, with differing success. One of the most successful interventions occurred in U.S. sociology between 1950 to the 1980s, during which a program of methodological positivism was undergirded by an array of causal forces, including the policies of government offices and foundations and new statistical methods, formal models, and computing techniques. American postwar Fordism led to regularities and predictabilities in the everyday lives of practicing social scientists, reinforcing the plausibility of empiricism, presentism, and regularity determinism (Steinmetz 2004). A new assault on historical and interpretive sociology is underway. The specific sources of this erosion still need to be figured out. Some of the factors include advances in the natural sciences that seem to render obsolete any claims for an emergent and irreducible social science. Genetic science promises an Eldorado of a final scientific “consilience” around the natural substrata of life; computer science promises to teach humans how they think and even to transform their thinking. What use could we have for social sciences in such a world? And what use could there be for the painstaking, careful, labor intensive work of historical sociologists? These scientific trends are coupled with an array of threats to science funding and scientific expertise, academic freedom, and faculty self-governance, powered by the infiltration of universities by corporate practices, entrepreneurial models, and short term policy goals. Historical sociologists may be able to shed light on these and other forces that eroding their specialty or converting them into nonhistorical sociologists. Sociology as a Crisis Science. Sociology as a discipline has an intimate relationship to crisis. Since Comte, sociology has often been understood as a science of crisis — as a discipline born of and reflecting societal crisis, and one that proposes diagnoses of crisis and perhaps contributes to the end of crisis (and thereby to its own eventual abolition). Marx was a theorist of the endless crises of capitalism and their unforeseeable outcomes. Most of the European disciplinary founders of sociology construed their new science in terms of crisis. French colonial officials after 1945 described sociology as a social science that was particularly suited to understanding the all-encompassing crisis that their own colonial presence was inducing. Ironically, then, sociology was founded as a crisis science long before Gouldner declared a “crisis of western sociology,” unleashing a flood of jeremiads in which crisis was constructed as the result of the fragmentation of sociology rather than the essence of sociology. What is the advantage of framing sociology as a crisis science? It is no coincidence that two of the greatest American political thinkers, Thomas Paine and W.E.B. Du Bois, both chose the title The Crisis for their periodicals. The word crisis calls attention to the existence of great social pathologies and failures and also to a moral struggle aimed at overcoming those conditions. The word crisis is itself a cognate of critique. As Janet Roitman writes, crisis is “the basis of critical theory,” since crisis claims “evoke a moral demand for a difference of the past and the future.” Crisis resists assimilation to value-free social science. Another feature of the new focus on crisis will be the new section blog, which will be part of the official ASA website for the section, unlike the “Policy Trajectories” blog, which will still be linked to the section’s home page but which was never hosted by the ASA. The working title of the new blog is “Critical Historical Sociology: History, Theory, and Sociology in an Age of Crisis.” The new blog will come online this month, along with a fully refurbished website, thanks to webmaster Sahan Savas Karatasli. Historical and comparative sociologists can make important contributions to discussions of the crisis of history and new regimes of historicity and temporality. These are some of the reasons for the focus of the 2018 mini-conference at the University of Pennsylvania campus in Philadelphia on August 10, the day before the Annual Meetings of the American Sociological Association. The title of the conference, suggested by Ann Shola Orloff, is “The Crisis of History and the History of Crisis.” This conference is being organized by Kim Voss and myself, together with Baris Büyükokutan, Luis Flores, Robert Jansen, Simeon Newman, Tasleem Padamsee, Melissa Wilde, and several other members of the section whose names will be added in the next announcement of the conference on the section’s listserve. The conference will include two plenary sessions and several breakaway sessions. Section members will soon be invited to submit paper proposals for the open submission sessions. 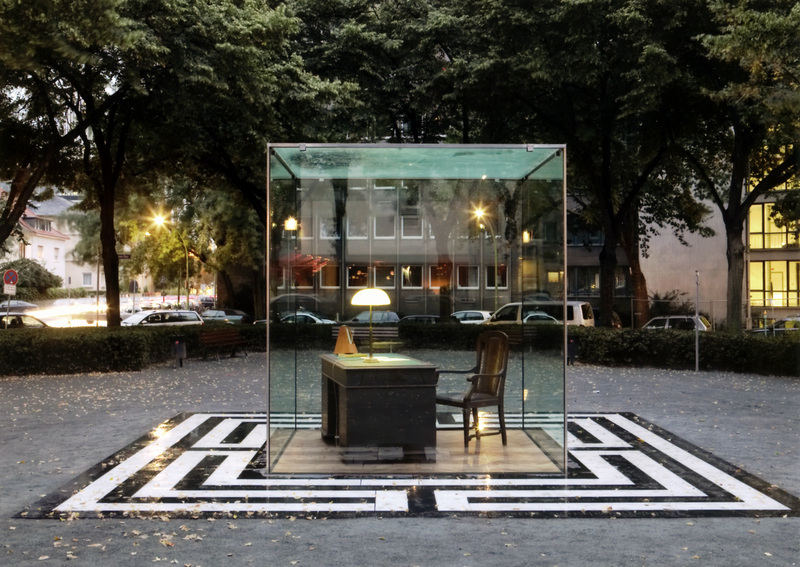 There is, however, an Monument to Theodore Adorno in Frankfurt am Main (see photograph below); Norbert Elias’ personal papers are housed in the beautiful Marbach Literary Archives. George Steinmetz, “Ideas in Exile: Refugees from Nazi Germany and the Failure to Transplant Historical Sociology into the United States,” International Journal of Politics, Culture, and Society 23:1 (2010): 1-27; “Field Theory and Interdisciplinary: Relations between History and Sociology in Germany and France during the Twentieth Century,” Comparative Studies in Society and History 59:2 (2017):. 477-514. Naturalism as defined here means the collapsing of the human and social sciences into the natural sciences, the denial of any emergence of social structures. Naturalism denies that there is any demarcation or distinctiveness between the natural and social sciences in terms of methods, objects, or theories. Natural science subsumes the social and human sciences. Akeel Bilgrami and Jonathan R. Cole, eds., Who’s Afraid of Academic Freedom? (New York: Columbia University Press, 2015); Tracy L.R. Lightcap, “Academic Governance and Democratic Processes: The Entrepreneurial Model and Its Discontents,” New Political Science 36:4 (2014): 474-448; Christopher Newfield,. Unmaking the Public University (Cambridge, Mass. : Harvard UP, 2008). Reinhart Koselleck, Critique and Crisis: Enlightenment and the Parthogenesis of Modern Society (Oxford: Berg, 1988); Johannes Weiss, Vernunft und Vernichtung : zur Philosophie und Soziologie der Moderne (Opladen: Westdeutscher Verlag, 1993). See the comments by Markus S. Schulz, Vice President for Research of the International Sociological Association. http://soziologie.de/blog/2013/03/public-sociology-uber-die-soziologie-als-krisenwissenschaft/. On the concept of “social pathologies” see Axel Honneth, “Pathologien des Sozialen. Tradition und Aktualität der Sozialphilosophie,” in Honneth, Pathologien des Sozialen. Die Aufgaben der Sozialphilosophie (Frankfurt a. M.: Fischer, 1994), 9–69. Janet Roitman, Anti-Crisis (Durham: Duke University Press, 2013), 8. Richard Swedberg and Ola Agevall, eds., The Max Weber Dictionary: Key Words and Central Concepts. Second edition (Stanford: Stanford Social Sciences, 2016), 359; Ola Agevall, “A Science of Unique Events: Max Weber’s Methodology of the Cultural Sciences” (Ph.D. dissertation, Uppsala University, 1999). Koselleck, Critique and Crisis, 127. Janet Roitman, Anti-Crisis (Durham: Duke University Press, 2013), 20; George Steinmetz, “Odious Comparisons: Incommensurability, the Case Study, and ‘Small N’s’ in Sociology,” Sociological Theory 22:3 (2004), 371-400.